Democratizing RPA means making training and resources easily available. Official Training Partners are certified in UiPath sales practices and technology and offer training to customers and partners alike across the globe. The RPA Developer Advanced Training prepares RPA developers to take on the key role of developing business-relevant automation skills. Our training gives the RPA developer the tools she/he needs to design, develop, and test the automation solution. They will be ready for RPA deployment and future RPA operations. The Business Analyst Training addresses RPA Business Analysts, and prepares them to take on the key role of evaluating and qualifying their businesses automation. The training prepares the analyst to create the documentation for the development team. Roboyo is a team of creators and thinkers that offers innovative consulting and implementation services for intelligent process automation solutions with offices based in Germany. Roboyo collaborates with the best software vendors in the areas of Robotic Process Automation (RPA), Personal Robotic Assistant (PRA) and Artificial Intelligence (AI). With intelligent process automation and its proven approach, Roboyo can automate your business processes and thus increase the added value for your company. And that’s just where its name comes from: Robot and Apoyo (Spanish for help) leads you to Roboyo, help via robots. "KG Information Systems Pvt. Limited (KGISL) is one of the major IT service providers with an imperishable existence serving numerous clients, having more than 2000 highly skilled employees worldwide. With offices in Singapore, Malaysia, Thailand, USA and India, KGiSL has steadily explored tenacious interest in the BFSI domain. KGiSL has channeled its focus on areas like Data Analytics, Robotic Process Automation, and Digital Services. In our approach to automation, We think of RPA as a long-range capability meant to empower organizations to evolve strategically and increase business value. To achieve this goal, we advise our customers and assist them towards adopting RPA and drive more business, success and profit. Our RPA services have proven to be business as well as customer centric." Machina Automation provides RPA advisory, implementation, support and training services to help you reap the benefits of the latest advances in process automation. We help you to plan and execute your implementation from process selection to on-going maintenance and support, driving predictable and successful outcomes for your organization. NEW is a global full-service innovation partner performing consulting, implementation and managed services. We are specialized in Robotic Process Automation, as well as other adjacent and nascent automation technologies (e.g. chatbots, AI, NLP). We collaborate with the best software vendors in these fields to digitize operations and enable a true end-2-end automation with tangible benefits. NEW has clients in more then 10 countries in every major industry and support implementations and roll-outs on a global scale. NEW is headquartered in Stockholm with additional offices in Scandinavia, Germany and the US with an increasing global footprint. NITCO is a next-generation IT company headquartered in Houston, Texas, with global a foot print. Our team of developers and engineers have expertise in RPA, AI, ML, Cloud Services, Infrastructure designs and implementation. The foundation of our leadership team is technical expertise with diverse industries, a winning combination that keeps us focused on our client’s success throughout their digital transformation. Ever since it was founded, Pasona Group has maintained the corporate ideal of solving society’s problems. To carry this out, Pasona Tech diligently provides proficient temporary staffing services for the IT and manufacturing industries. We also offer optimal solutions by combining human resources and cutting-edge technology. Robiquity is leading the way in RPA enablement. We have adopted a collaborative approach within the market, supporting both the End User and Partner community, to successfully deploy UiPath in line with best practice methods. We are pragmatic and work with customers to demystify the hype, calling on over 30 years of combined real-world RPA experience to ensure the best possible chance of success. Our core team are proven market experts who helped set up many of the early adopter’s sites and our portfolio of clients ranges across a number of different industries including finance, insurance, utilities and the public sector. "RPAbox is a global RPA consulting company focused on solving the technical and business problems other companies have. 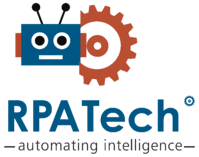 RPAbox is providing a complete solution for a smooth and reliable adoption of RPA." Sumitomo Mitsui Finance and Leasing (“SMFL”) is a leading leasing company having the longest history among Japanese leasing companies with over 50 years history in Japan. SMFL is positioned as a key platform in the strategic joint partnership of Sumitomo Mitsui Financial Group (‘SMFG”) and Sumitomo Corporation (“SC”). It is able to utilize the advantage of SMFG’s solid client base and financing capabilities, and SC’s network and business deployment ability on a global basis. In 2016, SMFL took over the Japanese leasing business of the General Electric Group, which has strengths in retail leasing and digital solutions. SMFL offers various services and solutions to clients to meet their diverse business needs by taking advantage of its abundant expertise and advantages. Symphony Ventures is a global consulting, implementation and managed services firm specializing in Robotic Process Automation (RPA), Intelligent Automation and other inspired delivery models to help enterprise clients digitize operations. Symphony has clients in more than 21 countries in every major industry. In response to changing market trends, the company continues to expand its digital ecosystem of tools to offer expanded solutions for clients. Symphony has headquarters in London and offices in the U.S., Poland, Latin America and India. Sopra Steria has successfully established and reinforced its position as an European Leader in Digital Transformation. Sopra Steria RPA Training Methodology is Tailor made to suit business requirements by first looking at the value generation for the learner supplemented by small proof of concepts along with offering consultancy support on ambitious projects. Our team of specialists support you from ideation to Industrialization including operational support from building new business models to supporting and coaching change in business processes. The methodology is based around the entire RPA life cycle including post training support and guidance which leads to value addition for your organization. TAO is an independent, pure-play automation consulting and solutions company. Our vision is to contribute to our client's effectiveness and business outcomes with bespoke enterprise automation solutions, both Business and IT. We enable our clients to develop and implement a customized automation strategy, be it RPA or advanced cognitive and machine-learning solutions, building out automation COEs and managing the entire change program leading to quantified results and outcomes. TAO's world-class training offerings help our clients develop the RPA and Automation resources and capabilities they need to realize their business transformation goals. Winning Formula is a unique business transformation consultancy that unites revolutionary big thinking with progressive methodologies and disruptive technologies to position businesses ahead of the curve and launch them into a more profitable, customer-centric future. Our Winning Formula combines Process Excellence, Intelligent Automation, Robotics and Artificial Intelligence with a unique partnership approach and an accomplished team to deliver a big impact, fast. Our unique agile, four-step approach (Explore, Plan, Deliver-In-Waves, Handover-As-You-Go) enables us to leave behind energised well equipped teams and ensures fast delivery of returns. Our clients achieve a double-digit improvement in efficiency, significant revenue uplift and material improvement in customer service levels. Their staff happily focuses on adding value and delighting customers while their white-collar digital workforce (robots) support them behind the scenes. Type of training: RPA Developer Level 1 Foundation Training, RPA Developer Level 2 Orchestrator Training, RPA Developer Level 3 Advance Training. We are a leading end-to-end consulting and service company with laser focus on RPA and AI. With our technology know-how, industry insights, experience and proprietary methodologies we ensure industries’ best implementations and CoE creation. We have dedicated LOB on training and created physical infrastructure to disseminate the training.